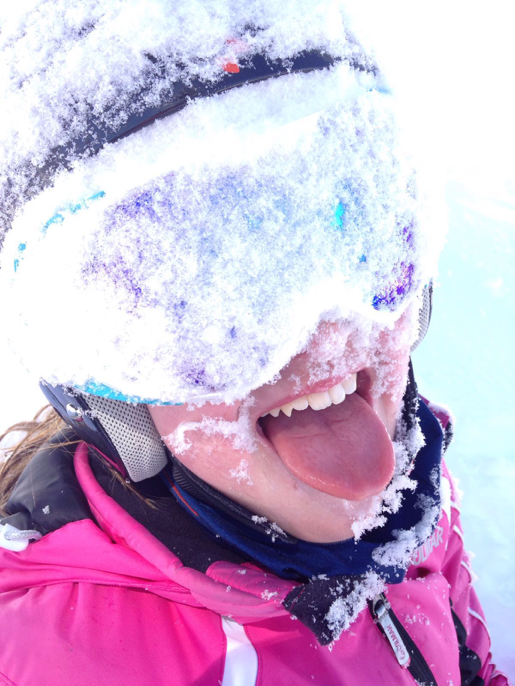 10 great reasons to get your children skiing! 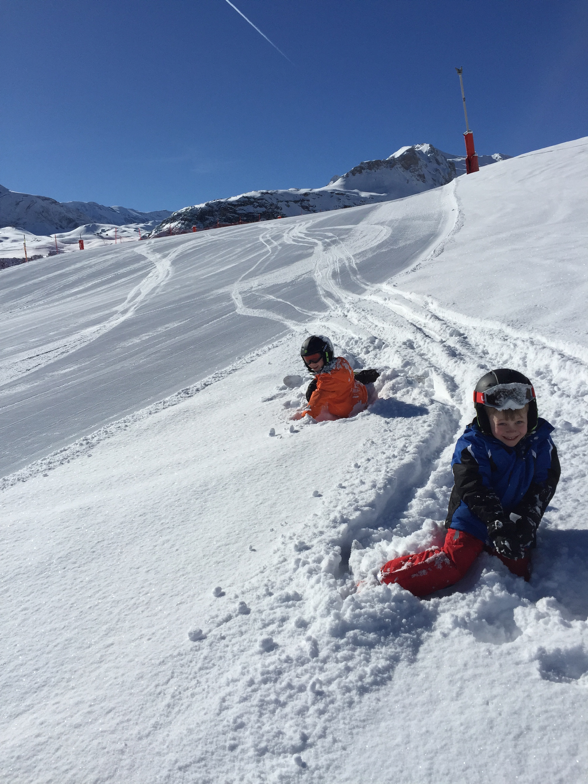 Going skiing for the first time can often be a daunting prospect, especially for a child, but during that first week they learn so much that taking your children on a ski holiday is a must! Check out my 10 great reasons for taking your child skiing below. Skiing is great fun, especially for children! It rarely hurts when they fall over, it’s snowy, and they have the freedom to whizz around a winter wonderland. The mountain can be a dangerous place, especially if it’s not respected, therefore discipline is mighty important. Every child must listen to their ski instructor, you will often see military like organised lines of children skiing down the slopes behind their commander and chief. You wouldn’t normally associate skiing with science, but a lot of physics is at play whilst skiing. Children will learn a lot about gravity and how to use forces to make the edges on their skis slow them down and turn. A big one is wind resistance and aerodynamics – children love the racing tuck as it helps them go faster! 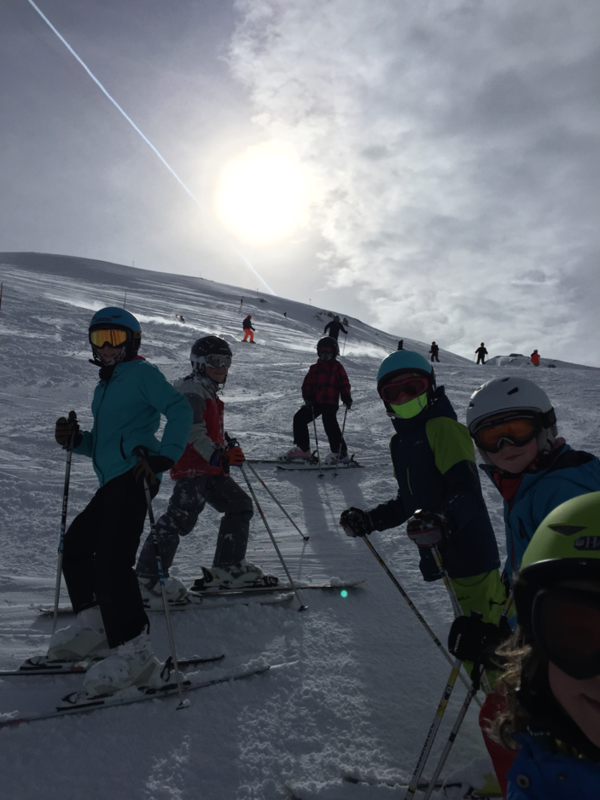 It’s not often that children spend 7 hours a day taking part in physical exercise, but that is exactly what happens on a ski holiday. Skiing is a full body workout and will increase the strength in their legs, stomach, back and arms from pushing during the week. Your child’s first day on skis can result in several “Bambi” like images, this improves very quickly and as an Instructor you see a marked improvement in the child’s balance over the course of the week. There is a trick to learning a new skill, and something we have to do throughout our lives, the more new skills a child can learn the better, in this case: Skiing! Maybe not a skill they will use every day but one that stays with them until they are an adult. Learning a new skill really increases confidence in children, regularly we see the quietest child on the first day become the most outgoing by the end of the week. They often take this confidence with them when they go back to school the following week. Sitting on the chair lift with some ski instructors can be a bit like being in a short, fun school class. This gives them an opportunity to learn about different types of snow, wildlife, why there are temperature differences between the top of the mountain and the bottom and lots more mountain related information. Perseverance and persistence are great qualities to have, there is no better feeling than working hard at something and then achieving your goal. 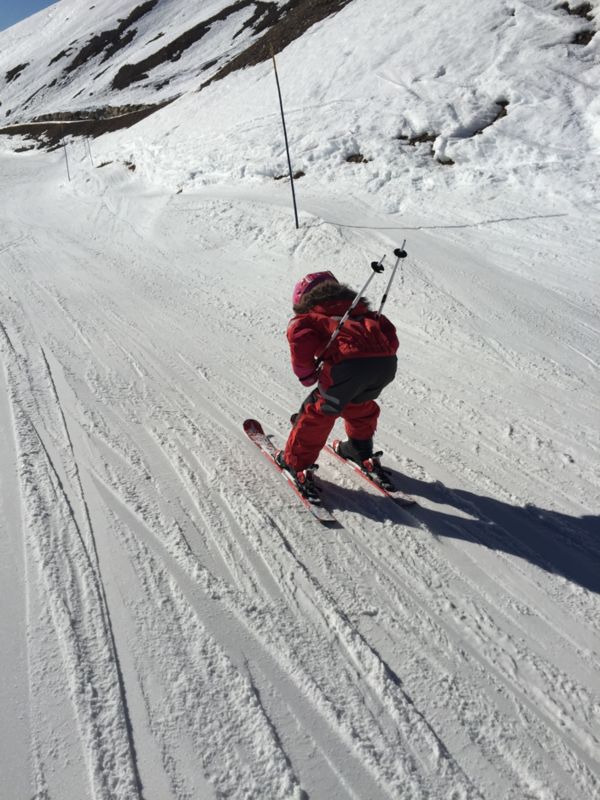 It’s quite common for children to find their first day skiing hard, and sometimes they don’t understand why they are doing it, but after lots of falling over they start to get it and by the end of the week they always love it! “I don’t want to wear a coat” is a regular line in many households before children leave the house, followed by “put it on”. Understanding why they need to wear a coat and how to keep themselves warm is something children learn about quickly, whilst in the extreme conditions a mountain can bring.